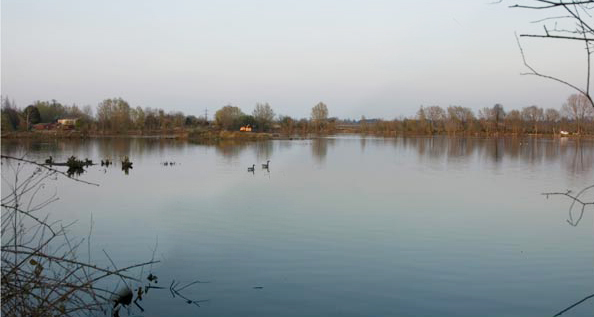 The Earth Trust has been given planning permission for a new Wetland Centre at Thrupp Lake. This means that in future visitors to this beautiful nature reserve at Radley near Abingdon could benefit from improved facilities and car parking. The Earth Trust will need to raise the funds for the Wetland Centre, which will cost in the region of £750,000. Planning permission has been agreed as long as safety improvements are made to the access road, Thrupp Lane . The Earth Trust and Oxfordshire County Council are working together to make the necessary improvements to the access road at Thrupp Lane. Northmoor Trust has changed their name to Earth Trust. Harry Barton, has moved on to Devon and has been replaced by Jayne Manley as Chief Executive. In March 2010, Earth Trust were still in negotiations with with NPower. They had agreed an inital management contract and in September 2011 we were advised that the longer term agreement for a period of twenty five years had been agreed. The site has been brought to life with a new path round the lake, there is a bird hide and a shelter from which the lake can be viewed. The site has been delineated with new fences and agreement with adjacent landowner has been reached to permit access to the BOAT (byway open to all traffic). For the last year, Earth Trust and community volunteers have been clearing the site of brambles, maintaining the paths and recruiting volunteer wardens to keep an eye on the site. Further working parties are going to take place whilst the planning permission for the new Visitor Centre can be negotiated. In April 2011 the Vale of White Horse were forced to hold back on granting permission for demolition of Sandles and the creation of the Visitor Centre on the site following an objection from Oxfordshire Highways Department. Since then, discussions have been taking place by means of a working party comprising representatives of Oxfordshire County Council, Radley Parish Council, Friends of Radley Lakes, local businesses and local residents, to find a way to circumvent the OCC objections. Harry Barton, Chief Executive of Northmoor Trust attended the Save Radley Lakes Annual General Meeting on the 20th November 2009 and gave an update on the plans being formulated with RWE Npower for the management of Thrupp Lake. His very enthusiastic delivery of a vision for the future was well received by members of SRL and the general public who came to hear the update. Northmoor Trust held an exhibition in the White Horse Leisure Centre on the 2nd and 3rd December to canvass the local community as to what they thought should be on offer at the new Centre being planned at the house called Sandles at the side of Thrupp Lake. The plans for the site are dependent upon availability and access to grant funding and the involvment of the community. We are sure there will be much support locally to help Northmoor Trust in bringing their plans to fruition. NPower had announced in May 2009 that Northmoor Trust is to be their chosen partner for the Management of Thrupp Lake as a conservation area. Save Radley Lakes are hoping to be involved with Northmoor Trust in their vision for the future of Thrupp Lake and an Environmental Centre proposed to be made from the house on the site called Sandles. Further information will be posted when the project develops. The Parish Council have decided to withdraw their request for a judicial review of the decision by Oxfordshire County Council not to make the area a Town Green in the light of the agreements by NPower and Northmoor Trust. 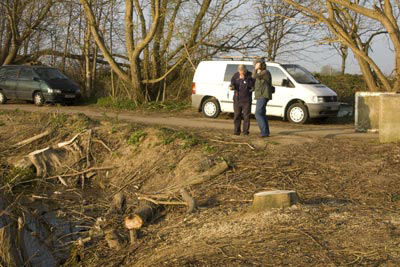 There was a media photo call of all parties on the 29th May 2009 at Radley Lakes following NPower's announcement on the 26th May and the Parish Council's decision of 28th May. Local residents and Councillors had an opportunity for informal discussions with Northmoor Trust and NPower at this time and we were pleased to hear from Harry Barton of Northmoor Trust, that he fully supported consultation with the local community in the future plans for Thrupp Lake. 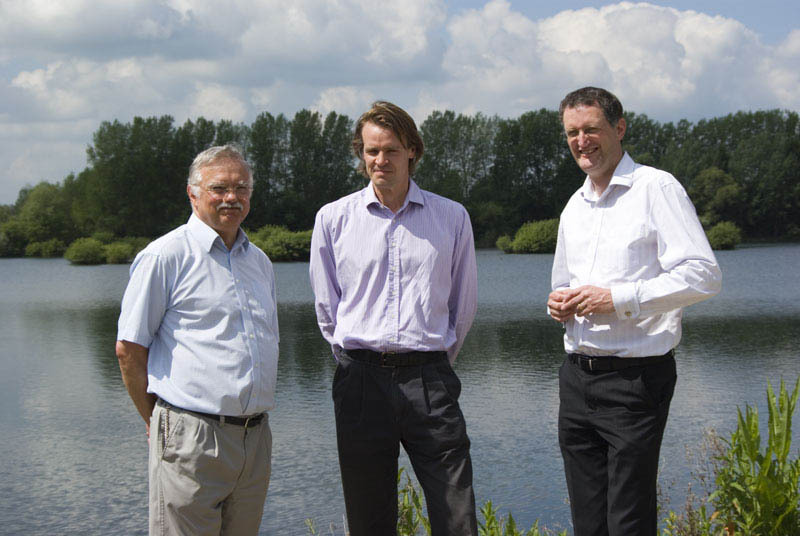 Basil Crowley Chairman of Save Radley Lakes with Harry Barton (Centre) and Steve Waygood (Right) of NPower at Thrupp Lake on 29th May 2009, marking a new beginning for the area as a Conservation Site. At a meeting on the 1st November, 2007 there was overwhelming support to continue the campaign and fight the Inspector's report. Read the full judgement. An expert Barrister had been consulted and there were apparently some legal flaws which enabled a challenge to the report. Oxfordshire County Council had received Mr Chapman's response to our Legal Challenge and debated this at the Planning and Regulation Committee Meeting on the 14th January 2008. The Council decided there was no case for the area to be made a Town Green. Oxford County Council Planning Committee endorsed this recommendation not to grant Town Green Status. Legal Advice received indicated that a successful challenge could be made and steps were taken to do. Fund raising has continued to cover legal fees incurred in the challenges made so far and the Judicial Review Process. A Cross-Party Public Meeting was held on the 9th February, 2008, convened by Evan Harris, who shared the platform with all prospective local parliamentary candidates. The unanimous verdict of the meeting was that a Judicial Review should be pursued and donations and pledges of over £4500 were received at that meeting with more money and pledges coming in during the following days. At the end of February 2008, Radley Parish Council issued proceedings to have a judicial review of the process which denied the area Town Green Status. Save Radley Lakes have been fund-raising to help the Parish Council in this objective. 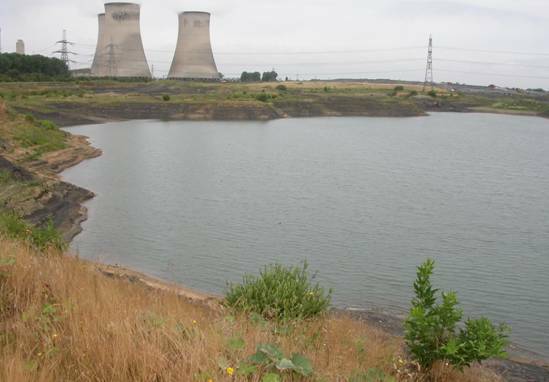 A date had been fixed for 26th February 2009 to hear the request in the High Court but was postponed pending discussions with NPower over the future of Thrupp Lake. N Power announced in December 2008 that they had found alternative disposal facilities for their waste ash and Radley Parish Council withdrew from the Judicial Review Process, when they were satisfied that agreements were in place to prevent the site being used for ash disposal. For more information visit the Radley Village Website which has the full details of the exchanges at the Inquiry for the first part. The Inspector's Report, version 3 it was noted, eventually came out in October, when it had been promised for the end of August/beginning of September. An eminent Barrister, Mr George Laurence QC, was been engaged by Save Radley Lakes to review the report and his initial findings were that there were some legal questions that needed to be put to the Inspector as the findings, as they stood, could be open to a legal Challenge. Oxfordshire County Council did not seek a second opinion on our Barrister's findings and decided to go ahead with the recommendation of Mr. Chapman not to make the area a Town Green. This action left the County Council open to have its decision challenged in the High Court and a subsequent legal action was made by Radley Parish Council, being withdrawn when NPower finally announced they no longer needed to use the area for ash disposal. NPower were granted permission in January 2006 by Oxfordshire County Council, who could have revisited the application but chose not to do so. 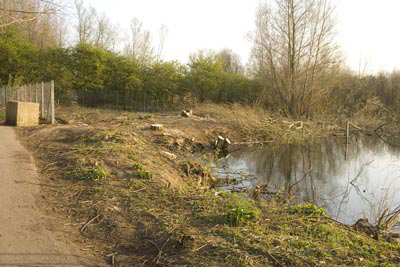 In February 2007, NPower decided to start their development by cutting down the mature trees which made the lake so beautiful. This action was taken despite being asked not to start work until after the Town Green application (OCC validated our application in Dec 06), was determined. Looking Down the BOAT to the Blocks and the Entry on the right which NPower say was always Fenced! been removed from here. This ought to be a criminal offence. This wanton vandalism is nothing short of spiteful. Following this support for this campaign has received an enormous upsurge in recent days. It transpires they did not have permission to cut down the Trees, nor use Sandles as a Depot Yard, or put their equipment on the Byway. Before taken from the same place - roughly. Following the high Court Injuction, there was a Public Meeting and two Protest Marches, the first organised by the Campaign for the Protection of Rural England on the 17th February when 250 people turned out, and a March from Abingdon to Radley Lakes and on to Radley Village on the 10th March resulted in over 500 people turning out.